Thankfully, while I was getting my photo, Love was able to get parked, get to the building and also find someone to let him cut ahead of the wristband line to meet me just as I finished up. 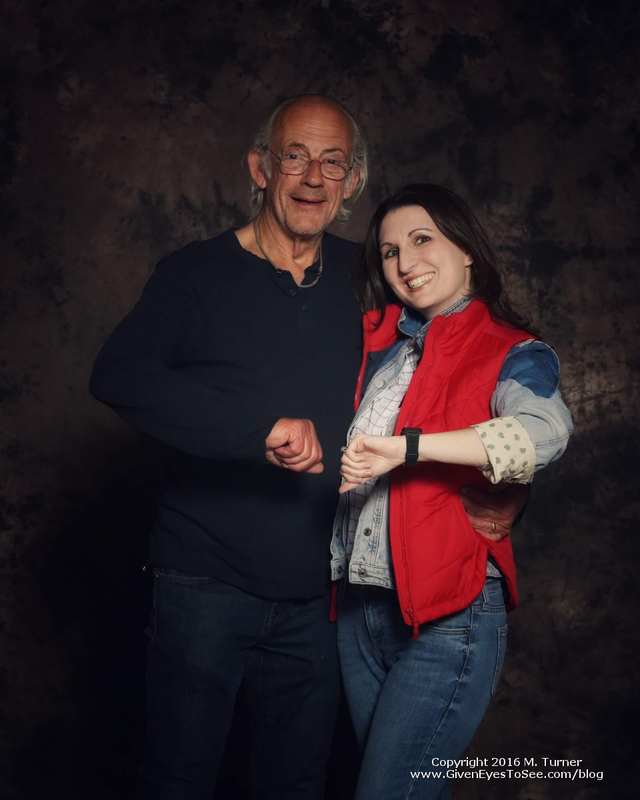 He missed out on seeing Christopher Lloyd during the photo op, but he wasn’t planning on being in the shot anyway, so it wasn’t a huge bummer. After the pic, Love wanted to get John Barrowman to sign a drawing of his. So we immediately went over to the autograph area since he was out and we didn’t want to miss him. 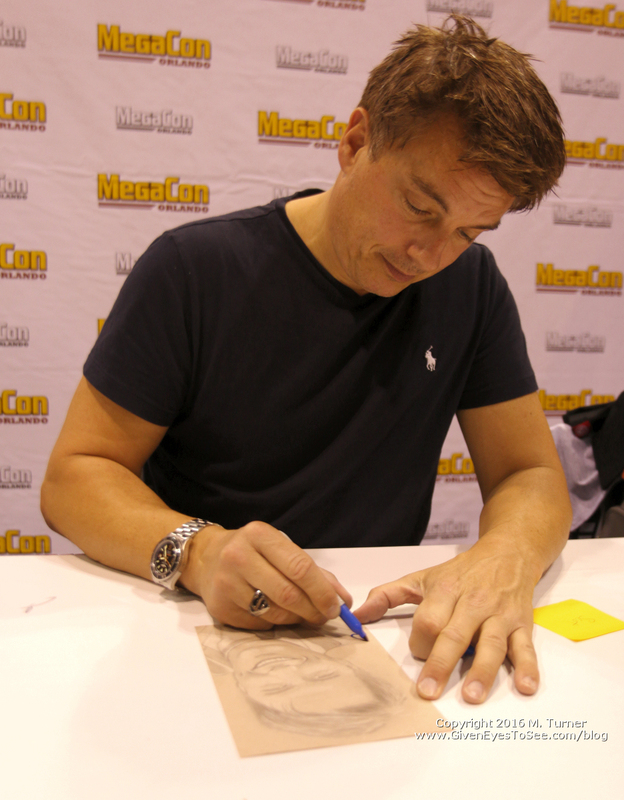 John Barrowman signed a drawing that Love did of him at Megacon Orlando 2016. 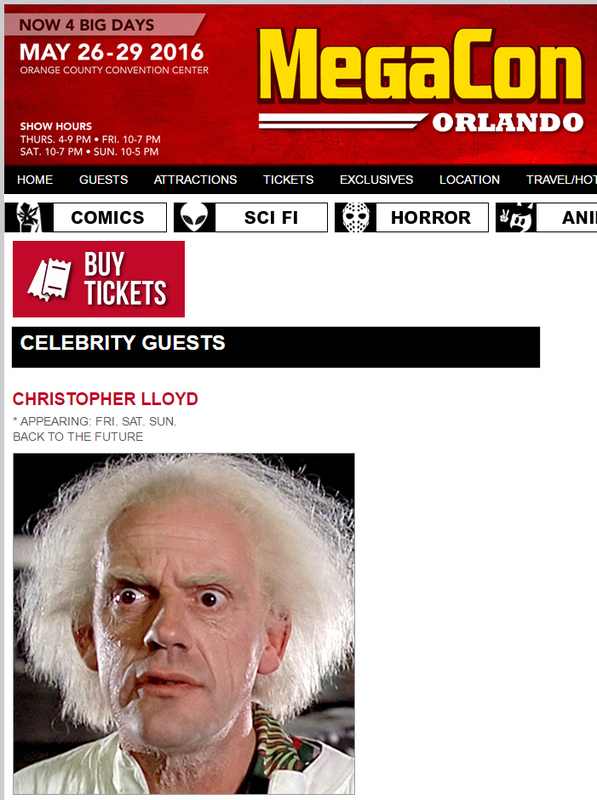 Of course, in keeping with the Megacon theme, there was a line. We waited about 45 minutes or so. The people in front of us were awesome though and she had the best take on a female Doc in his radiation suit cosplay! She even made a Plutonium Case purse! So awesome. 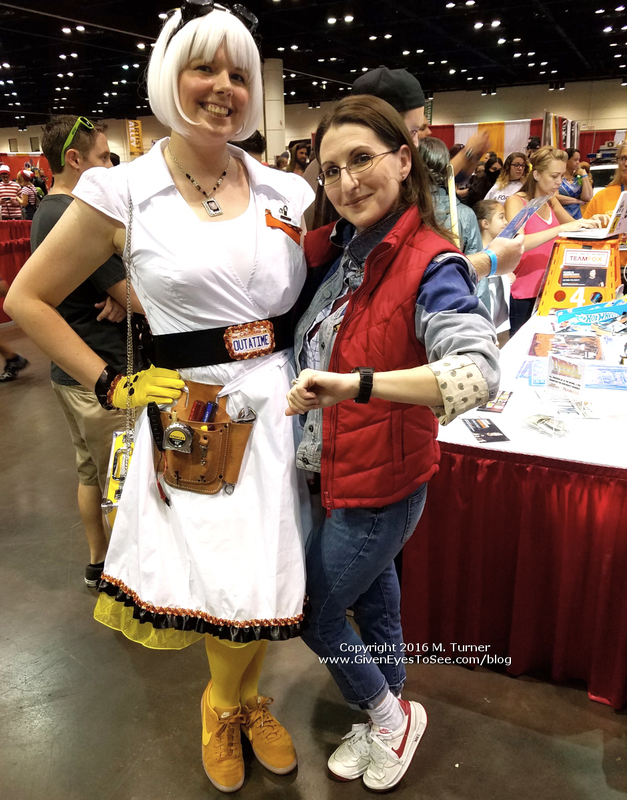 Her outfit was such a creative take on Doc in his radiation suit, making an excellent gender bend female Doc Brown and female Marty McFly cosplay duo! 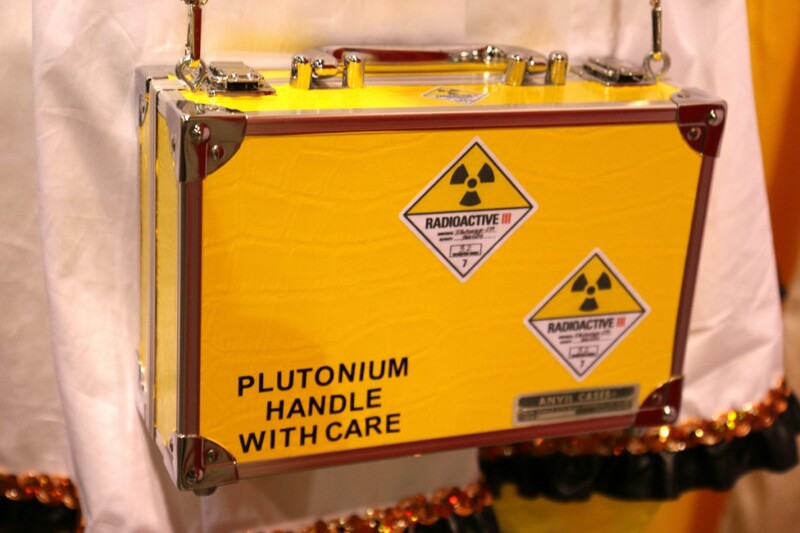 She even made a plutonium case purse. So clever! Oliver Holler was taking pics and he was very generous with his time and so easy-going. He took a pic with his camera and multiple ones with mine, allowing me a few poses. No rush and no pressure. I told him I was a kickstarter backer on the Back in Time documentary (in which they are featured) and he thanked me and shook my hand. 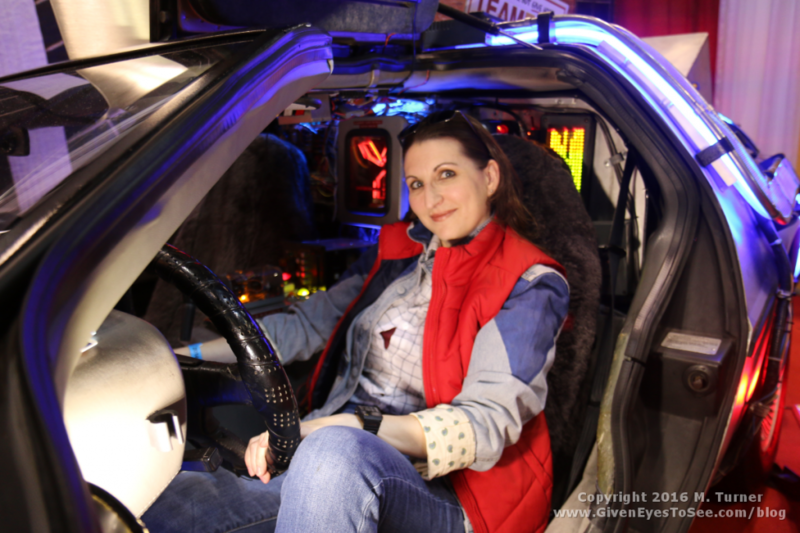 Me in my female Marty McFly cosplay in the Holler DeLorean Time Machine at Megacon 2016. At this point, it was like 3:20 and we hadn’t eaten, so we grabbed a pizza and took 10 minutes to scarf it down. 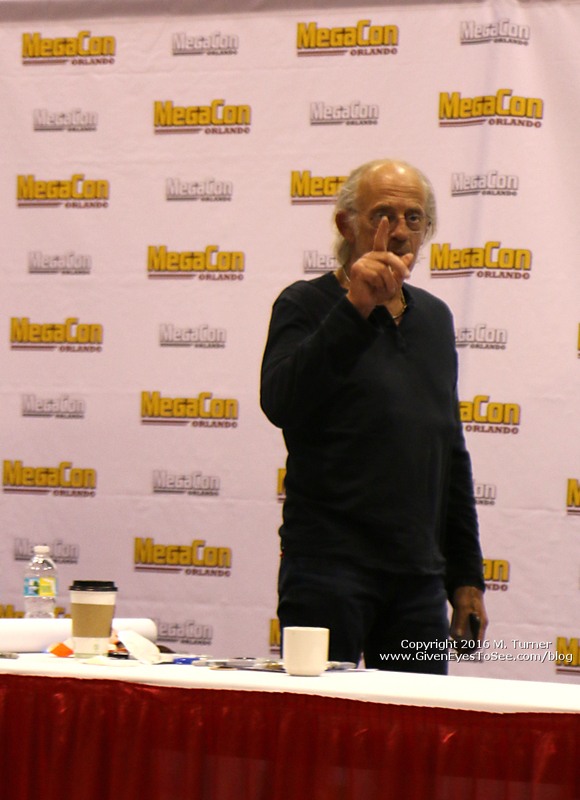 But I had a return ticket to get Christopher Lloyd’s autograph and I was supposed to be back around 4pm and we were on the other side of the hall, so we fast-walked back to the autograph area just in time to get in line. And if you’ve noticed a theme for how our day went and you guessed “waiting in line” ding! You are correct. Because we SLOWLY moved through the line until we were 3rd in line to get our autograph. 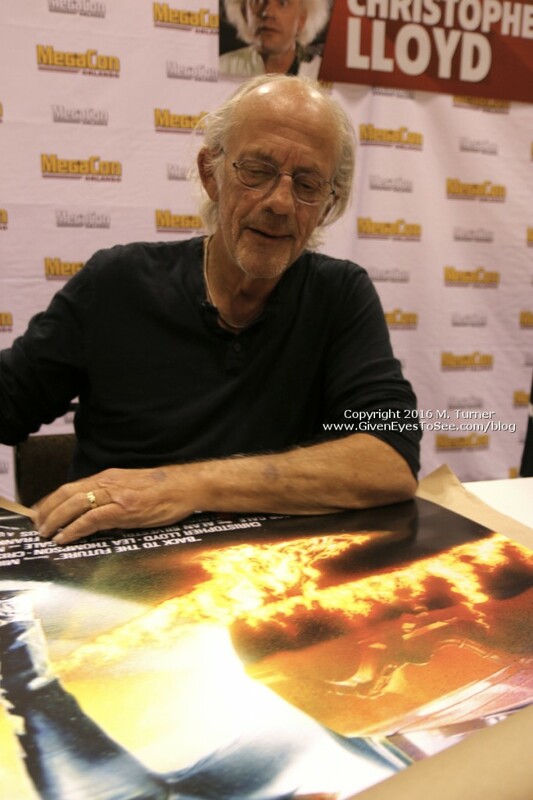 At which point, Christopher Lloyd was going to take a “10 minute break” ….which turned into nearly an hour. Ironically, a man famous for a movie about time travel, has himself, no comprehension of time. 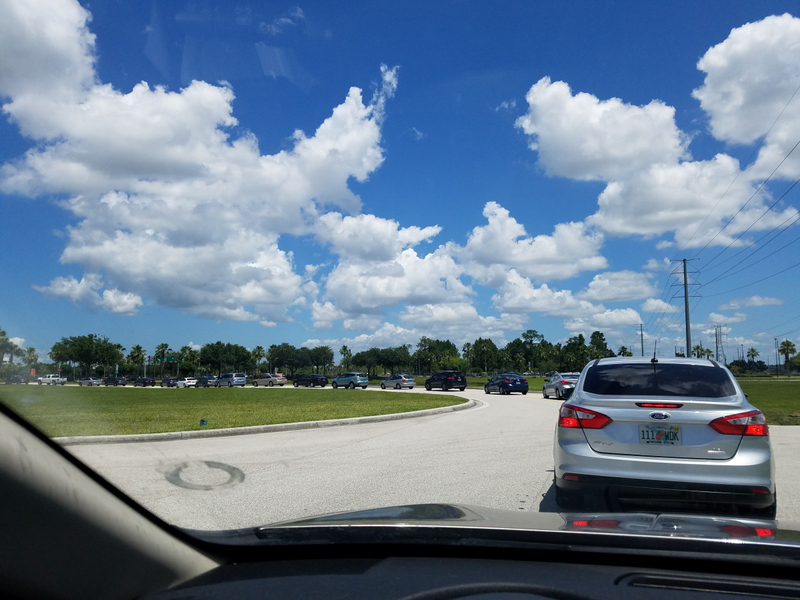 His, “one minute” gesture turned into a nearly hour wait. But, eventually he DID return! 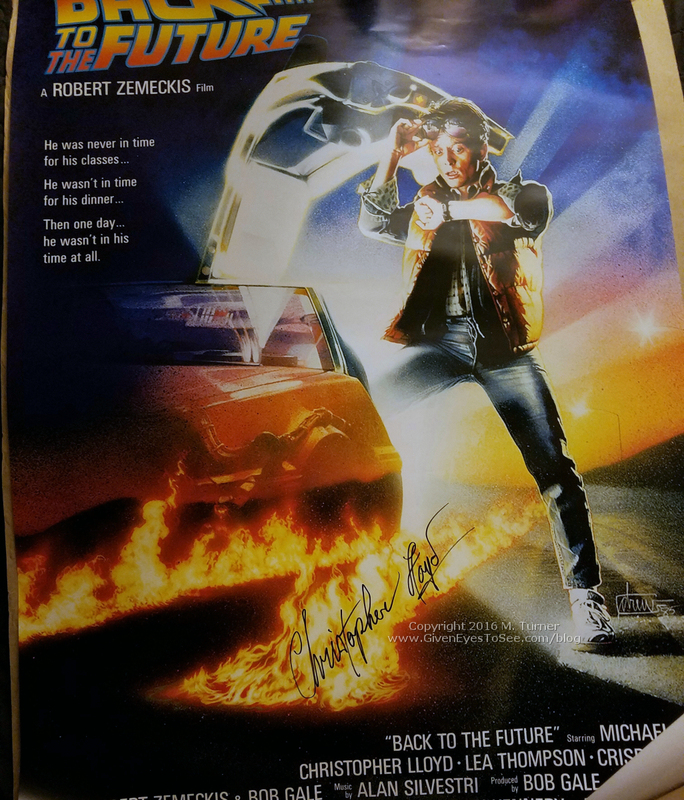 And I was able to get my BttF poster signed. My Christopher Lloyd signed Back to the Future poster! By this point in the day it was about 6pm. The day was almost over! We briefly spotted Jen and John (in full “Junk Lady” costume) from Epbot but didn’t really have time to hang out. They wound up winning Best of Show for the costume contest! 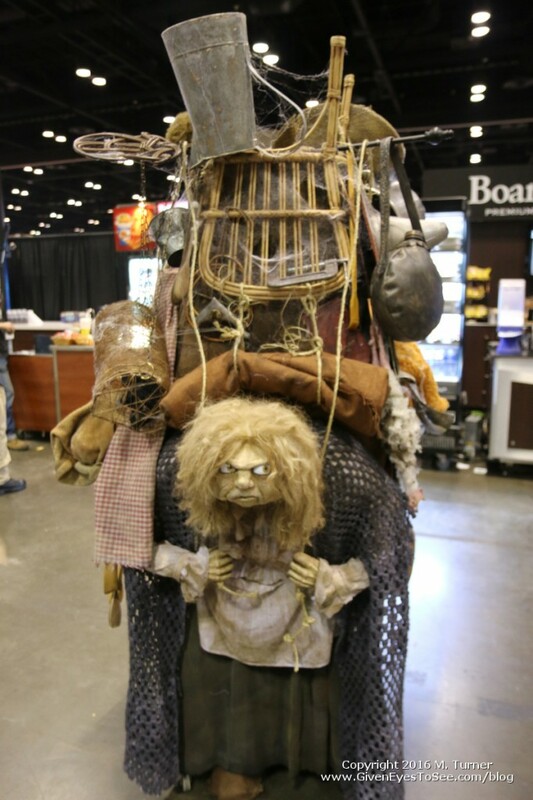 John & Jen from EPBOT made the Best in Show winning Junk Lady costume. So glad I got to see it in person! We tried to get into the costume contest but the line (oh the LINES!!!) was so long, it was hundreds of people in VIP, hundreds more in Premium and then an endless line of regular. We knew we’d never make it so we decided to leave. They are so not kidding when they state this is the 2nd largest convention center in the entire US. We know because we walked the whole damned perimeter!! We didn’t make it home until about 10:30pm. So it was a LONG day full of absurd lines. And yet…we had a ton of fun. I got to meet an icon and in the end, I had a blast. Tampa Bay Comic Con is coming in August and Megacon announced Megacon Tampa Bay for October so we will definitely make at least 2 days of each of them since they’re so much closer and easier to get to-and-from. 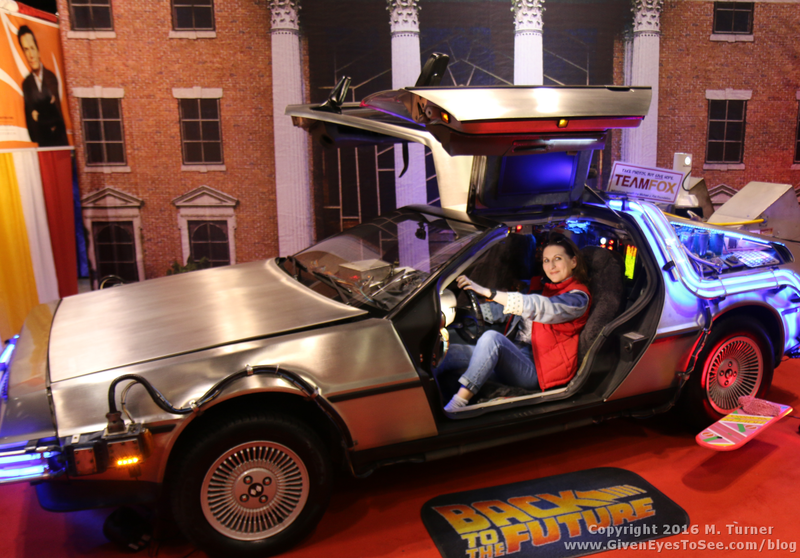 I wish I had more time at Megacon Orlando but while I missed out on a lot, the things I DID do were awesome. 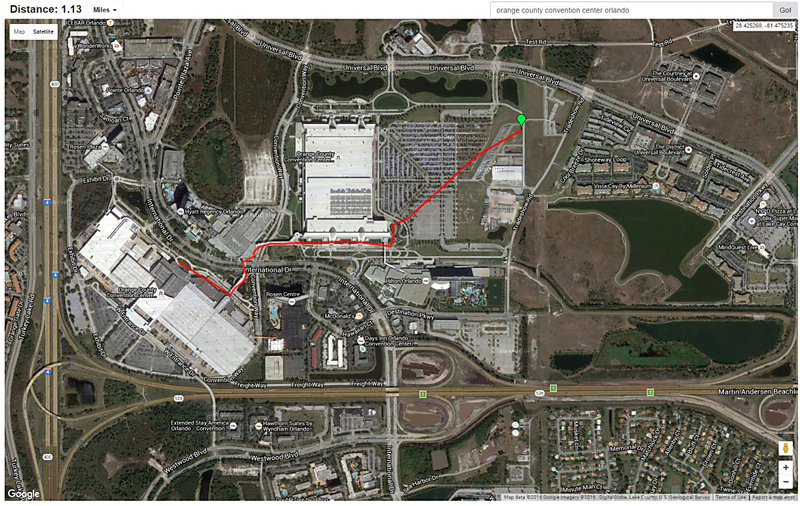 Checkout my Megacon Facebook Album for some more photos. Phew, I’m so glad you made it! What a palaver! It looks and sounds like you had a fantastic time. I’ve not been to a con in years.